The Lehigh Valley Research Consortium presented its annual “State of the Lehigh Valley” report at DeSales University on Nov. 12. The Lehigh Valley Economic Development Corporation’s (LVEDC) talent supply study was a major focus of the newly-released “State of the Lehigh Valley” report, an annual publication released by the Lehigh Valley Research Consortium (LVRC). Each year, this report seeks to provide community-based research to Lehigh Valley residents, government officials, business leaders, and community officials to help inform and guide policy decisions and inspire action and development in the region. 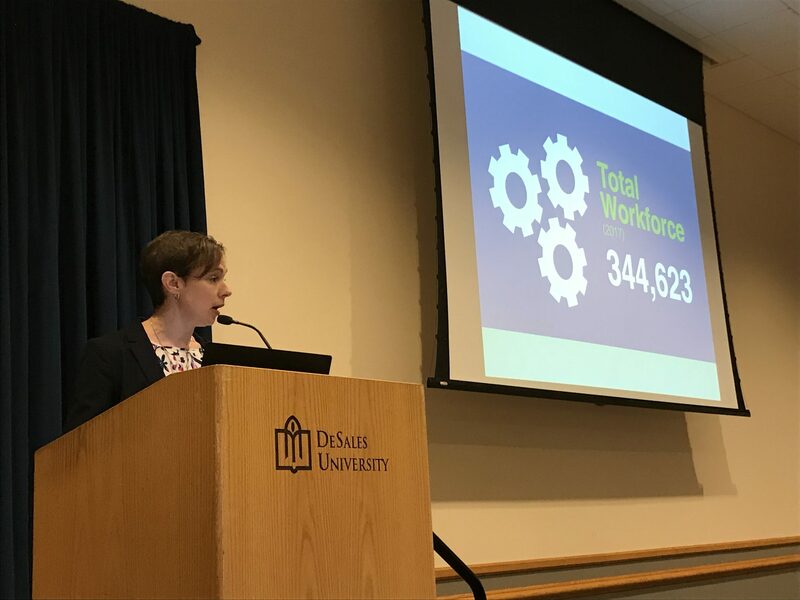 “I think I speak for all of us here when I say we’re proud of the Lehigh Valley and we care about bringing our skill sets to the table in partnership with others for the collective aspirations of the health and well-being of our region,” LVRC Director Hannah Stewart-Gambino said to a crowd of more than 100 people at DeSales University on Nov. 12. 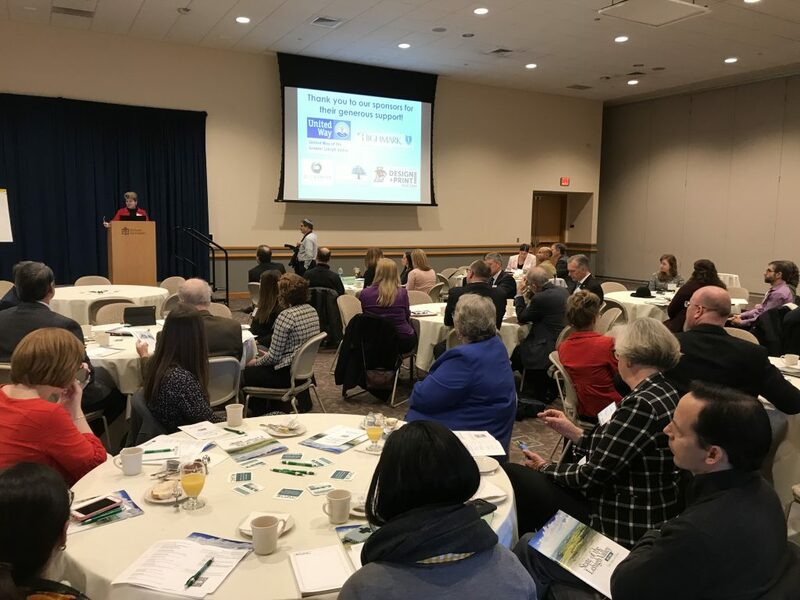 The subtitle of this year’s State of the Lehigh Valley report is “Setting the Research Table,” which suggests preparation and looking ahead to the community issues important to the region’s growth and well-being, Stewart-Gambino said. This year’s report highlighted the year-long study commissioned by LVEDC to assess the regional talent market and identify wide-ranging strategies to grow, recruit, develop, and retain talent in the Lehigh Valley. LVEDC Director of Talent Supply Karianne Gelinas speaking about the talent supply study. LVEDC Director of Talent Supply Karianne Gelinas highlighted some of the major findings and takeaways from the talent supply study, which was conducted by MDB Insight. It included surveys, interviews, and focus groups with more than 300 businesses from five targeted industry sectors and other stakeholders. The report found that a skilled workforce is essential for regional businesses, Gelinas said. Ninety percent of respondents said they need skilled workers, 89 percent said they expect to hire within the next 12 months, and 71 percent said they have trouble finding the right people. Employability skills are also of the utmost importance, she said, with 51 percent of respondents saying they need employees with the right “soft skills” like teamwork, punctuality, work ethic, and a cooperative attitude. Many employers also lack adequate strategies developing a talented workforce, the study found. 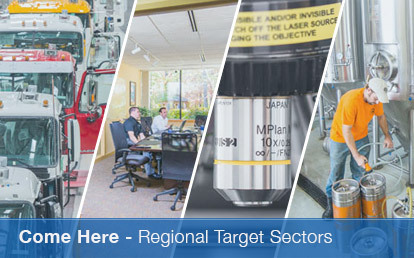 Through its Education and Talent Supply Council, LVEDC is collaborating with educational institutions, major employers, and economic development and workforce agencies focused on creating and executing regional strategies that help the Lehigh Valley maintain a workforce and talent supply. Lisa Plummer, Director of Institutional Research and Analysis at DeSales University, spoke about this collaboration, noting that 11 colleges and universities, three career and technical institutions, and 17 public school districts from the region have been involved with this project. Stewart-Gambino said the full “State of the Lehigh Valley” study will be available within the next 6 to 8 weeks. 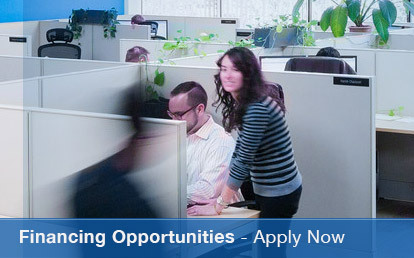 LVRC operates within the Lehigh Valley Association of Independent Colleges (LVAIC), a collaboration of Cedar Crest College, DeSales University, Lafayette College, Lehigh University, Moravian College, and Muhlenberg College. 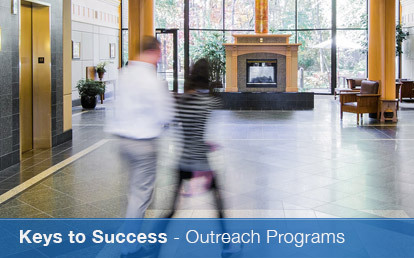 Lehigh Carbon Community College and Northampton Community College are affiliate members of LVAIC.